If you have kids, I don't have to tell you that back-to-school season is upon us. You've already spent a month's salary on must-have supplies and fashions for your little angels. You've met with teachers, visited classrooms, and made your way through the maze of registration. But if you live in Ontario, that maze is especially confusing. Which school board will you pick for your child? French public, French Catholic, English public or English Catholic? You read correctly -- Ontario ratepayers fund four separate school systems. And as you can imagine, this fragmentation creates some serious management issues. All that duplication costs close to $500 million a year. It's not just about the cost -- this set-up leads to absurd scenarios. For instance, when the number of children goes down in smaller communities, public and Catholic schools both suffer drops in numbers. But instead of putting students together under one roof, school boards are instead forced to close the local schools. In the end, it's the kids who suffer the consequences. They get separated from their neighbourhood friends, and are forced to endure long daily bus rides to schools far from their home community. I'm not saying we should have just one system. French-language education is essential for the survival of the Francophone minority. It is a central element of Canada's founding pact, and came about after a long and historic struggle by Franco-Ontarians. But religious segregation is simply not necessary -- you don't have to go to school to learn the Ten Commandments. The majority of parents in Western countries transmit their faith in private. In fact, there are many good reasons to phase out denominational schools in Ontario. Why are we funding Catholics but ignoring Muslims, Jews and Protestants? The system is inherently discriminatory. It also attacks the freedom of conscience of seven million non-Catholics, forcing them to subsidize the Vatican's teachings while denying them the opportunity to work in Catholic schools. The United Nations' Commission on Human Rights has twice denounced this injustice, declaring that the Ontario school system violates the International Covenant on Economic, Social and Cultural Rights. We now find ourselves in the same club as North Korea, Sudan and China. Catholic school boards sometimes make matters worse by abusing their privileges. They ask teachers to reference the Bible and the Catechism in chemistry and biology classes, and they prevent their pupils from expressing themselves freely on the issue of abortion. But most disappointing, perhaps, is the insensitivity of Catholic schools toward their lesbian and gay students. Back in 2002, the Durham Catholic School Board fought tooth and nail to stop a student from going to the prom with his boyfriend. More recently, the Halton Catholic School Board and St. Joseph's Catholic Secondary School in Mississauga prevented gay and lesbian students from forming support groups. And the Dufferin - Peele board was ridiculed when it censored rainbow images for being "too political". Worse still, the Toronto Catholic District Board voted to undermine the Ministry of Education's Equity and Inclusive Education Strategy, by stipulating, "Where there is an apparent conflict between denominational rights and other rights, the board will favour the protection of the denominational rights." We now have a situation where provisions adopted in 1867 to protect one minority are being used to harass another. To be fair, we shouldn't single out Catholics. After all, every religion has its quirks. It's the fact that these schools are both public and religious that's problematic. The state shouldn't be favouring one creed in particular; it should accommodate all the various visions of the good life. Everyone should be free to live according to his or her particular belief, and the state should only promote general principles necessary for coexistence, democracy and freedom. Public education should not be used for sectarian indoctrination. The current system also hinders the integration of new Canadians. How can this religious segregation help develop a sense of common citizenship? The system makes no sense for the Anglophone majority, but it's suicidal for the Francophone minority. Franco-Ontarians can ill-afford to dilute their resources and separate their children. Administrative efficiency, human rights, respect for minorities and the integration of immigrants are all good reasons to put an end to religious segregation. In survey after survey, Ontarians have confirmed they support a change. Yet for politicians, the question remains taboo. We're in the early days of the provincial election campaign, and leaders are avoiding the subject like the plague. There is no mention of it in any of the parties' political platforms. Section 93 of the 1867 Constitution Act protects Catholic School Boards, but nothing is stopping Ontario from initiating a bilateral amendment with Ottawa. The procedure is legitimate and straightforward. It's already been done in Quebec, as well as in Newfoundland and Labrador. Clearly, the obstacles are political, not legal. In Ontario, the separate schools issue was controversial in 1985 and 2007, and the three major parties now support the status quo. The Conservative Party is a traditional ally of religious groups, and it would risk alienating this electoral base if it promoted secularism. John Tory thought he had found a fair solution during the last election, promising to fund schools of every religion. But the proposal sparked an outcry and contributed to his electoral defeat. 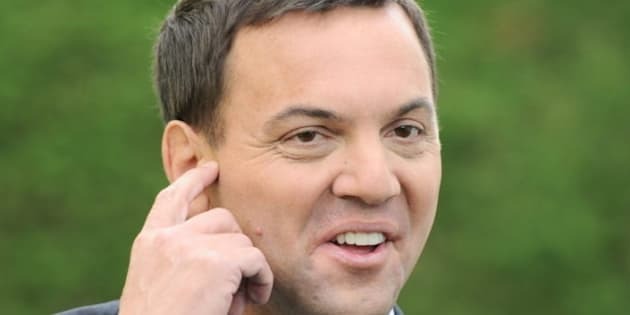 His successor, Tim Hudak, has learned his lesson -- he now scrupulously avoids the subject. Ever since Mitchell Hepburn sat in the premier's office, the Liberals have usually been able to count on the Catholic vote. So it's no surprise that they too support the current system. The McGuinty government has developed an excellent equity and inclusion policy for schools, but it has not dared to impose it on uncooperative schools. As for Andrea Horwath, she is also reluctant to make waves, perhaps because the Catholic teachers' union supports the NDP. The religious segregation of our children is expensive, regressive and unfair. It's high time we secularize Ontarios French and English schools. Politicians will take great pains to avoid the subject, so it's up to us to make it an issue during this election campaign. Translated from the original Frenchhttp://abrassard.wordpress.com/2011/09/02/pour-une-rentree-scolaire-sans-segregation-religieuse/ by Jamie McLennan, © 2011 Gaston Murdock.